I have to say it right up front. 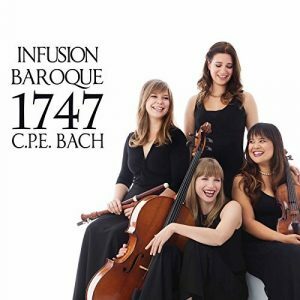 Infusion Baroque, a Montreal-based chamber ensemble, has just released 1747: C.P.E. Bach, a new CD of works by C.P.E. Bach that comes about as close to pure happiness as any other recording you’re going to listen to anytime soon. C.P.E. Bach = Pure Happiness? 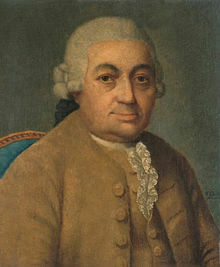 If you look at this picture of Carl Philipp Emanuel Bach (1714-1788), one of the sons of Johann Sebastian, you’re not going to think that he was a really fun guy. But if you listen to his music – if it is played the way it is on this new CD – you’re going to find out that he inhabited a rollicking world of catchy melodies, intriguing off-beats, hit-and-run deceptive cadences, “isn’t that neat?” voicings, and lots of other surprises that lead from one delight to the next. Infusion Baroque is a Montréal-based ensemble whose members are Alexa Raine-Wright (baroque flute and recorder), Sallynee Amawat (baroque violin), Andrea Stewart (baroque cello), and Rona Nadler (harpsichord). 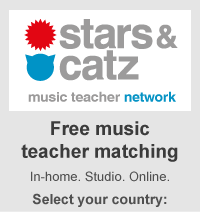 They have all studied (or are currently studying) at McGill University’s Schulich School of Music. They are not only a finely tuned ensemble, they also are an engaging one that presents innovative concerts that blend music with visual and other arts. They are currently galivanting around North America, presenting concerts with savory names like, “Who Killed Stradella” and “Who Killed Leclair?” I’ve bookmarked their website so I can keep track of their whereabouts, and I think you should too. In the meanwhile, please join me and enjoy their new release. You might even want to invite C.P.E. Bach, and Infusion Baroque, to your next soirée. Doing so is as easy as playing this enthralling new release for your guests.